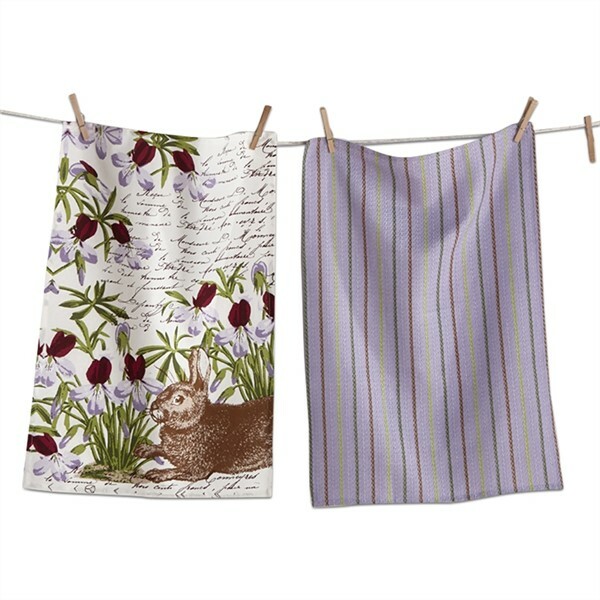 Fun Easter or spring dishtowel set for a gift or your holiday kitchen. This is for the set of two towels, one hand screen printed flat weave and one lavender woven dobby stripe. They are made of 100% cotton and are approx 18" x 26" with a tab for hanging to dry.